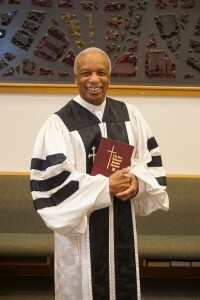 I am Reverend Dr. William H. Graham, Pastor and servant at First Missionary Baptist Church in Frederick, Maryland where I have been Pastoring for 29 years. I received an undergraduate degree in sociology from Morgan State University and a Master’s Degree in Theology from Howard University School of Divinity. In 2003, I received an honorary Doctorate of Humane Letters from the Eastern Theological Seminary in Lynchburg, Virginia. I praise God for this church. I want to thank you for taking the time to visit our website. We are a Bible teaching, Bible believing, Christ-centered church with a focus on helping people to grow closer to God. I am a people person, dedicated to helping people find Christ and grow in the Lord. I believe that God’s perfect plan will prevail in the lives of those who stand in His presence. I am also a person who feels comfortable in my work for the Lord and desire to serve the Lord in both the church and the community. I feel very passionate about seniors and youth. I am totally committed to the nurturing and development of all youth through special programs and opportunities offered here at First Missionary Baptist Church. I am proud to say that we are a friendly church who believes that everybody is somebody. I pray that as you visit our website, you will be led to visit with us at our church and that your visit will be accompanied with the overwhelming presence of our Lord and Savior, Jesus Christ. If you choose to visit, please let someone know so that I might meet with you personally. May God bless you and yours in a special way.